Probably the wrong place to post this but it's 15.99 in the store. Absolute bargain if you've never played it. Played it on the'other side' and just bought it again for PS4 to run it through again before Necromancer drops. I bought it again as well to play the Diablo 1 dungeons. 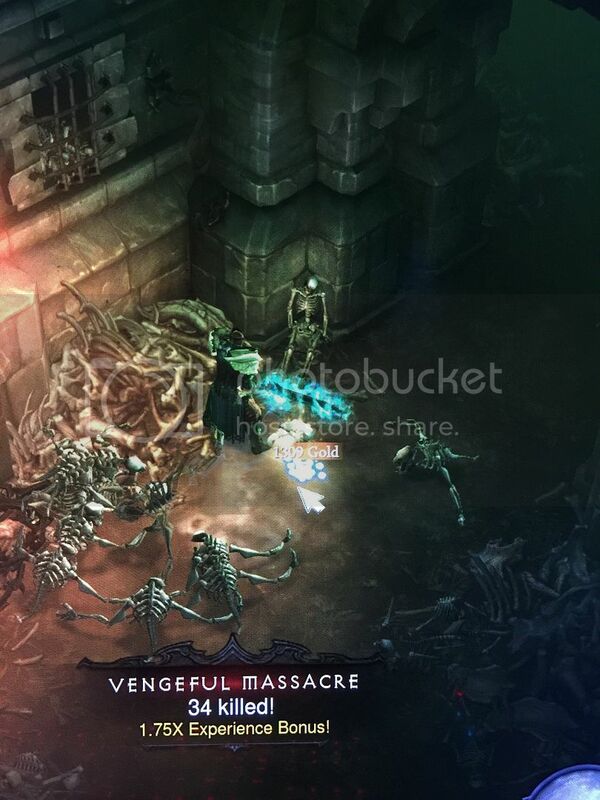 Cant wait for the Necromancer update. I may have to pick this up as well. I finished the game on PC, but somehow I either was way OP or the game was glitched. I was damn invincible. And it kind of sucked. Tried to figure out why, but never did. I took screenshots. 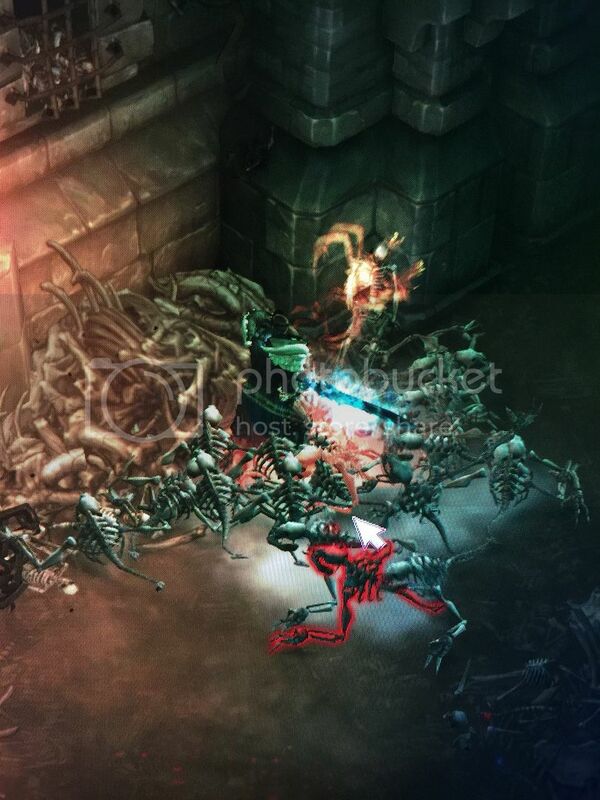 This is me surrounded by these skeleton creatures just wailing away on me. I just stood there. Wasn't even touching the controls. It was like every hit I took bounced off me and hit others. Even the damn Reaper pretty much killed himself. So yeah.....hopefully the next time will be more challenging.